The first IWC Portugieser Chronograph Rattrapante was introduced in 1995, and the last model was available in 2006. Since then, watch enthusiasts have had to sit tight and be patient. After 10 years, IWC has come back with not just one but three distinct IWC Portugieser Chronograph Rattrapante models that draw inspiration from the original 1995 model. These include the Portugieser Chronograph Rattrapante Edition “Boutique Milano”, the “Boutique Rue de la Paix”, and the “Boutique Munich”. However, these are limited edition watches, so buyers will have to work quickly if they’d like to own one of these new IWC watches. In their respective IWC boutiques, there will be 100 Milano timepieces, 250 Paris timepieces, and 250 Munich timepieces available for purchase. Each of these watches honors the specific European cities in which the IWC boutiques reside in. The editions draw on the spirit of the cities with their case materials and dial colors. Additionally, IWC includes caseback engravings that show unique icons or landmarks from their respective cities. All three of these editions are driven by the 76240 caliber movement, a manually-wound movement with a 44-hour power reserve. The chronograph complication tracks minutes and seconds, and it comes with a split-seconds hand for intermediate timing. To use the split seconds mechanism, simply start the chronograph normally. After pushing the 10 o’clock push-button, the top hand will stop while the bottom hand continues to move. After pushing the 2 o’clock push-button, the bottom hand will stop. Portugieser Chronograph Rattrapante Edition “Boutique Milano"
This new edition celebrates the opening of IWC’s new Milan boutique. It features a 41mm rose gold case, a brilliant blue dial, and a black alligator leather strap. This edition also includes both a tachymeter and a telemeter scale. The caseback includes the biscione, also known as a viper, which is a symbol of Milan. The Milan edition is available now. 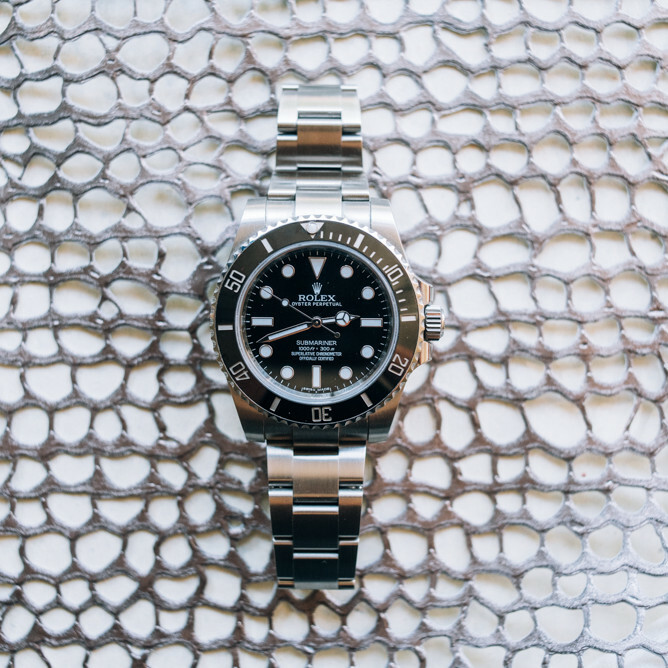 The Paris edition features a stainless steel case, a slate dial, and a black alligator strap. Both this edition and the Munich edition are based on the original 1995 stainless steel Portugieser Chronograph Rattrapante. The caseback shows the Colonne de la Grande Armee, a bronze statue in the Place Vendome. It also includes the Latin phrase “Tossed but not sunk” which has been Paris’s motto since 1358. This edition is available now. The Munich edition features a stainless steel case, brilliant blue dial, and a blue alligator strap. The caseback has an engraving of the Frauenkirche, or the Cathedral of Our Dear Lady. The Frauenkirche is a Munich church that serves as the cathedral of the Archdiocesse of Munich and Freising, and it is viewed as a symbol of Munich. This edition is expected to be available in spring of 2017.